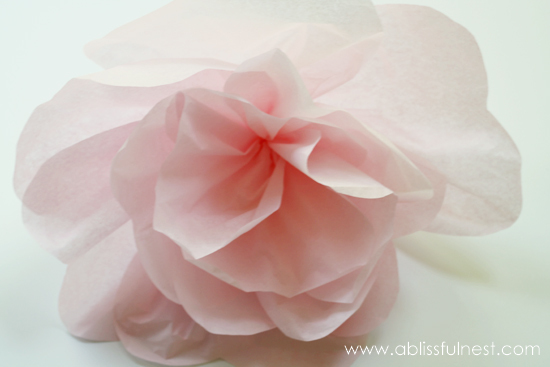 Oversized tissue paper flowers are so easy to make and are a hot trend in the party world right now. You really will not believe how simple and inexpensive it is to make these and they really do give that wow factor. 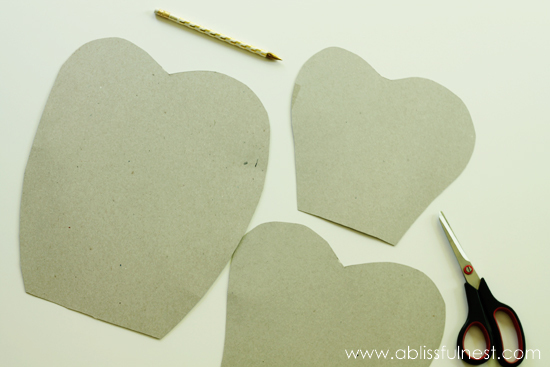 Step 1: Take your cardboard (or break down your box and use the sides) and free hand draw 3 sizes of scalloped petals. The 3 sizes I used are 13″, 10″ and 8″ high. Cut out the shapes. Step 2: Using your templates, lay on top of the tissue paper and cut out. 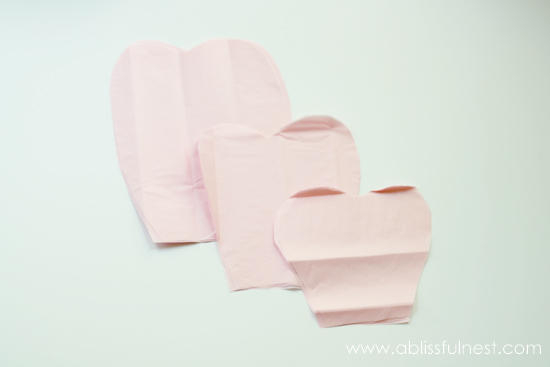 I used 8 sheets of the large size, 6 of the middle size and 3-4 of the small one. 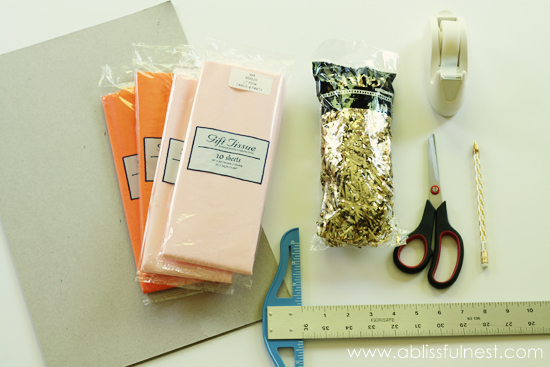 *TIP: lay out your templates so you get multiple cuts on a sheet of tissue to cut down on how many sheets you use. 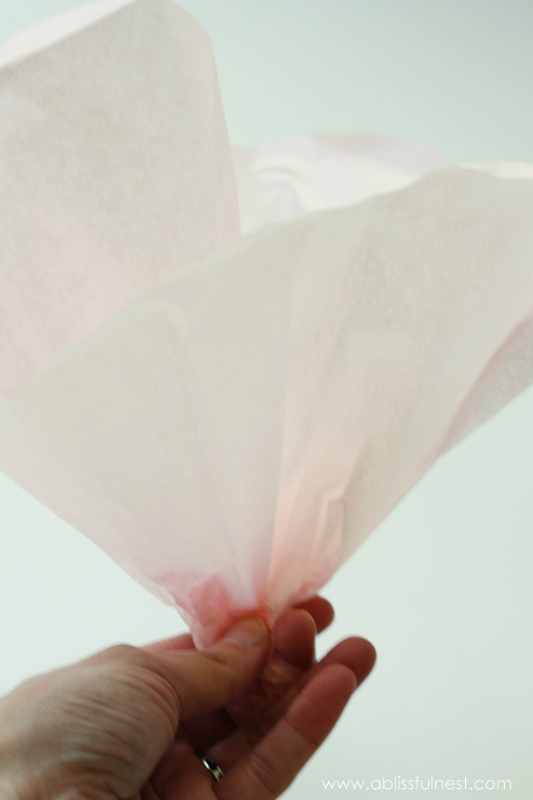 Step 3: Gather your smallest petals and fold edges on top of each other. Step 4: Bunch together to form the inside of your flower. Then tape the base together tightly. 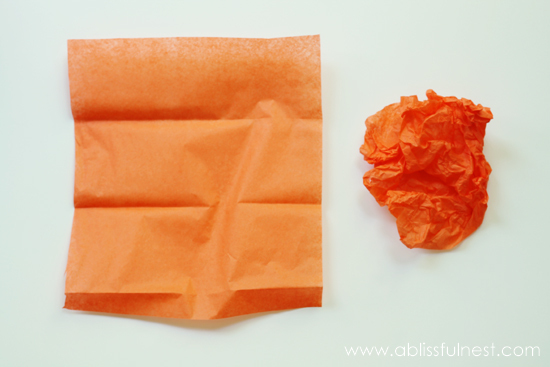 Step 6: Using the other color tissue paper you selected for the center of your tissue paper flower, cut approximately a 7″ x 6″ rectangle. Crinkle and smush by balling in your hand to give it a textured look. 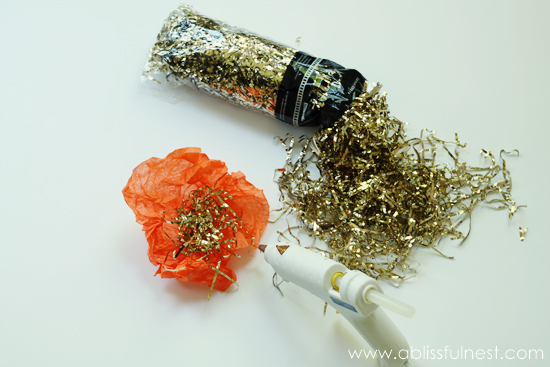 Step 7: Gently fold out the center of your crinkled ball and hot glue a ball of gold shred to the center of your crinkled tissue paper. Step 8: Glue your flower center into the middle of your petals. Shape petals to create a full effect. Then you are done! 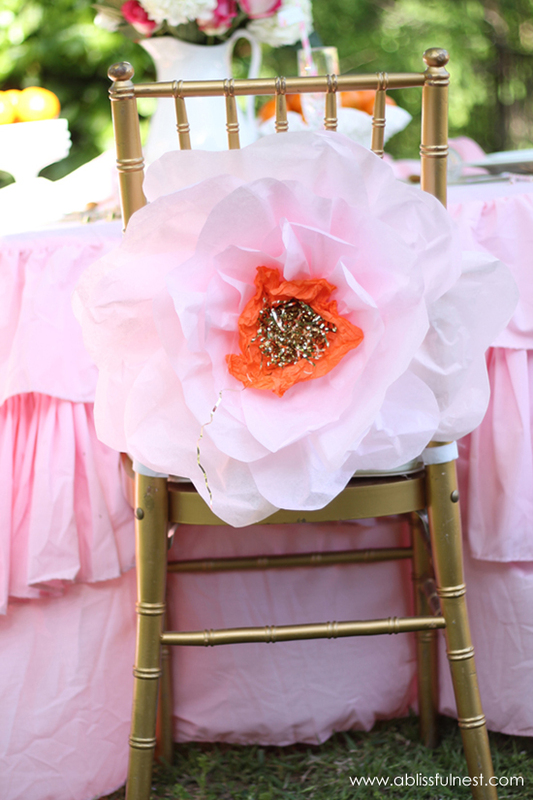 You have gorgeous oversized tissue paper flowers. For more Mother’s Day Brunch ideas check out our posts HERE and HERE. Thanks for this! I’m having trouble keeping the flower together after taping all the layers on. When you tapes the larger petals, did you tape petal by petal or one strip of tape around the middle petals and one around the larger petals? Also, was it crucial to have the middle part in there in order to keep the flower up or did it stand up well on its own? 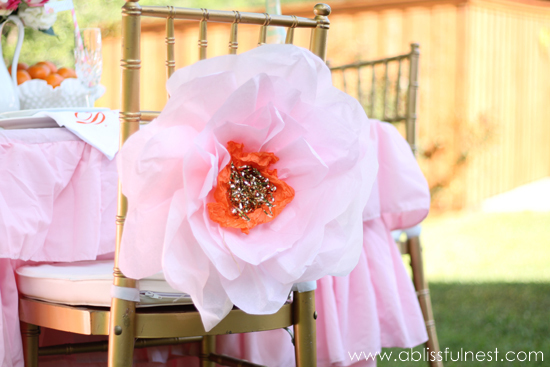 I’m attempting to do this for a bridal shower this weekend if I can figure out how to do it successfully. Oh my goodness you are so welcome! Thanks for following along! So pretty. Pinning for later. 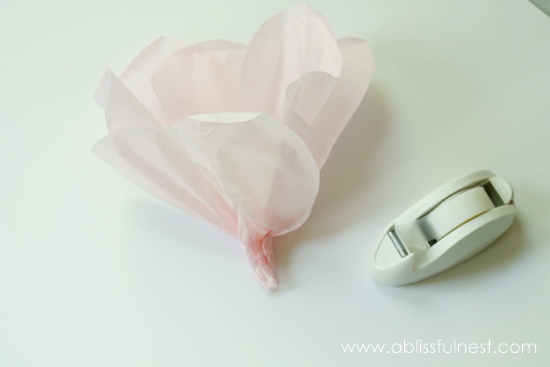 I love the flowers, can you please tell me how you hang these flowers – what to use and how to attach it ? Thank you so much for sharing this tutorial. I made two last night and I’m going to make some smaller ones tonight in preparation for my mothers day “we love you a brunch” brunch! I just shared them on my blog and linked it back here. Really gorgeous and easy tutorial!